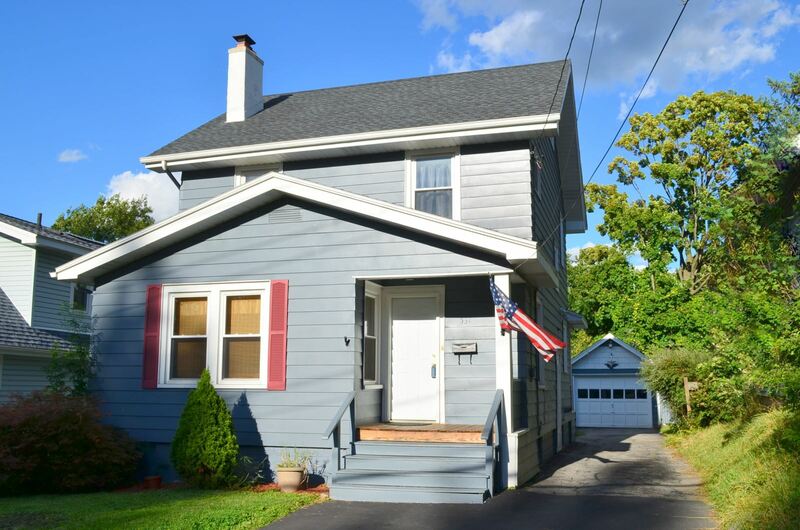 Syracuse, NY Neighborhood - This updated 3 bedroom Colonial is located in a popular Syracuse neighborhood which is close to shopping, parks, schools, and major highways. First Floor Features - The first floor features a spacious living room with a fireplace, a bright front sun room, a formal dining room with hardwoods, and a functional kitchen with a breakfast nook. Second Floor Features - The second floor offers and updated bathroom and 3 good sized bedrooms with hardwood floors. Exterior - The exterior provides a partially fenced yard, 1 car detached garage, and a yard. Updates - Major updates include a newer roof, windows, and plumbing.